Adaptations are tricky. 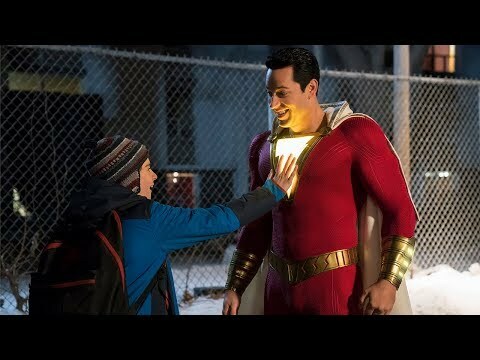 Whether it’s a novel, a short story, a comic book or otherwise, films have be crafted just right to not only be good but to be considered a faithful adaptation at all. 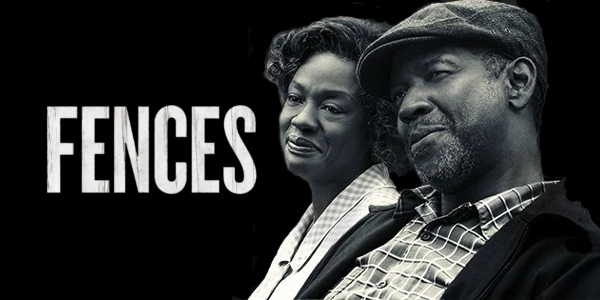 Fences is the rare adaptation of an August Wilson stage play of the same name, a medium that brings along pre-established dialogue and staging for the filmmakers to adapt. Throw in the actors that just earned Tony awards for their work in said play and you’re bound to get something quality. The story of Fences is a lot of drama with very little substance. Events happen to progress the lives of the characters forward, but there isn’t necessarily a standard beat-by-beat storyline. It glances into the lives of this family and those close to them over the course of years and big moments in their lives. Fences is completely character and drama driven and it works, for the most part. Denzel Washington and Viola Davis are at the top of their respective games, both guaranteeing they’ll be in the thick of things for the Oscar come February. Washington is a layered and forceful character that is so afraid of change but longs for more and Washington nails it. With big sweeping speeches and elegant storytelling, the veteran actor makes the character feel very real in many ways. Not be outdone, Davis steps up and steals the show. She has a way of balancing her power and strength with the weakness and survivalist nature of her life. The award reels will show the big, loud scenes between her and Washington but the true shining moments of her performance are in the more subdued and small scenes where she presents a quiet grace. Each scene is such a powerhouse that they can sometimes get lost amongst themselves, but while they’re on screen, they’re electric. And while the dialogue feels very much like a play, it’s never too much of a negative. The setting, however, becomes one. The entire film is set primarily in the Maxson home or their backyard and eventually it all becomes a bit stale. The film doesn’t take the next step of adaptation and becomes quite similar to watching a recording the actual stage play itself. Overall, Fences is true testament to the power of an actor’s performance on the feel of a film in general. It’s driven by the two headliners obviously, but the supporting members still come to take their swings and proceed to each knock it out of the park. The runtime is a tad long and it feels longer as the setting is 110% static, making the whole film drag in the slightest way. Fences is a good film and will likely earn many nominations and awards, but it takes the word adaptation a bit too literal, not taking the appropriate liberties to make the play into a film. So what did you think of Fences? Have you seen it and what's another unconventional adaptation? Subscribe, share, comment below and as always return to I Am Sam for weekly reviews and insight.